We are a leading Manufacturer of terbinafine hydrochloride / chlorocresol cream, diclofenac gel, mupirocin cream, tretinoin/mometasone/hydroquinone cream, clotrimazole / beclomethazone / neomycin cream and betasol - gm cream from Pune, India. 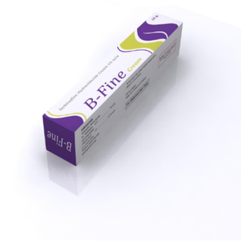 B Fine Cream is formulation which contains effective Antifungal called as Terbinafine .Terbinafine cream is topical antifungal agent,It works by killing sensitive fungi. It is used for treatment of superficial skin infections such as jock itch (tinea cruris), athlete's foot (tinea pedis), and other types of ringworm (tinea corporis).Terbinafine cream works in about half the time required by other antifungals. B Fine Cream is useful in treatment of dermatophyte infections such as jock itch, athlete's foot and other types of ringworm infections. 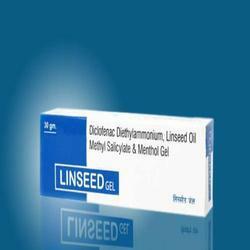 LINSEED GEL contains Diclofenac diethylammonium which helps to reduce inflammation and to reduce pain. Diclofenac diethylammonium works by blocking the production of some of the body chemicals that cause inflammation, pain, stiffness, tenderness and swelling. The linseed oil inhibit PGE2-, leukotriene-, histamine- and bradykinin-induced inflammation. Menthol and methyl salicylate are known as counterirritants. They work by causing the skin to feel cool and then warm. LINSEED GEL is combination of Analgesics , Antipyretic & Anti inflammatory. LINSEED GEL combination provides better relief from painful condition than monotherapy. 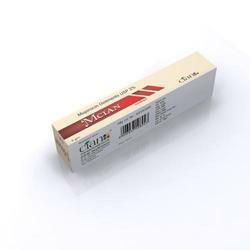 MCIAN CREAM contains Mupirocin which is an antibiotic of the monoxycarbolic acid class. Mupirocin was originally isolated from Pseudomonas fluorescens. Mupirocin is bacteriostatic at low concentrations and bactericidal at high concentrations. It is used topically and is effective against Gram-positive bacteria. Mupirocin is a mixture of several pseudomonic acids, with pseudomonic acid constituting greater than 90% of the mixture. MCIAN CREAM is an antibiotic, It is a topical prevents bacteria from growing on your skin. MCIAN CREAM is used as a topical treatment for bacterial skin infections, for example, furuncle, impetigo, open wounds, etc. It is also useful in the treatment of methicillin-resistant Staphylococcus aureus. MCIAN CREAM works by stopping the production of essential proteins needed by the bacteria to survive. Mometen TH Cream is formulation which contains three effective ingredients Hydroquinone–Tretinoin–Mometasone which is a demelanizing cream used to treat hyperpigmented skin conditions such as melasma, freckles, and senile lentigines , scars of acne vulgaris. Hydroquinone in Mometen TH Cream is most prescribed bleaching agent worldwide. 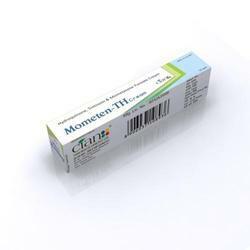 Mometasone in Mometen TH Cream is aimed to reduce inflammation,also inhibits melanocyte metabolism. 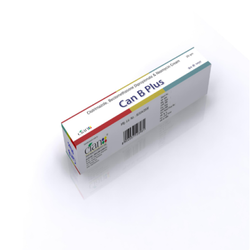 CAN B PLUS CREAM is a topical medication used to prevent the growth of fungal cells. It is primarily used for athlete`s foot and jock itch although it can also benefit many other fungal based skin infections. It works by weakening the cell membrane of certain fungi. It also acts as an anti-inflammatory and anti-itching agent. Neomycin in CAN B PLUS CREAM is antibiotic used to help prevent infections of the skin. Neomycin in CAN B PLUS CREAM is an antibiotic of the aminoglycoside type and is used to treat infections with bacteria. It works by affecting the bacteria's production of certain proteins that are necessary for their survival. Clotrimazole in CAN B PLUS CREAM works to kill individual Candida or fungal cells by altering the permeability of the fungal cell wall. 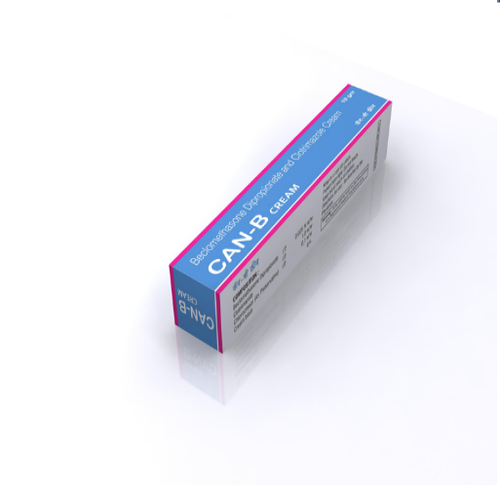 CAN B PLUS CREAM is a topical medication used to treat conditions that are fungus based. Its active ingredients are clotrimazole, beclomethasone, and dipropionate, and it is most commonly used to treat athlete`s foot, jock itch, oral thrush, and ringworm or yeast infections. JOINTY PLUS GEL is pain relieving formulation which penetrates skin and combats both acute and chronic inflammatory reactions. 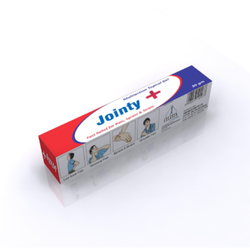 JOINTY PLUS GEL offers effective relief from tenderness and pain on movement, it exerts soothing and cooling effect. JOINTY PLUS GEL is Non Staining , Non Greasy & give Best Tissue Penetration. 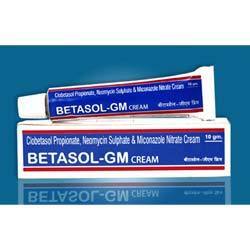 BETASOL G CREAM contains Clobetasol propionate which is potent topical corticosteroids It is helpful in treating inflammatory skin conditions such as eczema and dermatitis. A topical steroid is used when patches of your skin condition flare up. Neomycin, an antibiotic, is used to prevent or treat skin infections caused by bacteria. Neomycin works by affecting the bacteria's production of certain proteins that are necessary for their survival. CAN B CREAM is the formulation which contains potential antifungal cream commonly used in the treatment of fungal infections. CAN B CREAM used to treat skin infections such as athlete's foot, jock itch, ringworm, and other fungal skin infections (candidiasis). This medication is also used to treat a skin condition known as pityriasis (tinea versicolor), a fungal infection that causes a lightening or darkening of the skin of the neck, chest, arms, or legs. Clotrimazole is an azole antifungal that works by preventing the growth of fungus. Beclometasone in CAN B CREAM is a potent topical corticosteroid and are used in addition to emollients (moisturisers) for treating inflammatory skin conditions such as eczema and dermatitis. CAN B CREAM is a broad spectrum antifungal antibiotic. CAN B CREAM is used to treat a wide range of skin infections caused by fungi. These include infections with dermatophytes such as tinea, eg ringworm (tinea corporis), athlete's foot (tinea pedis), and jock itch (tinea cruris) and infections with yeasts such as candida.